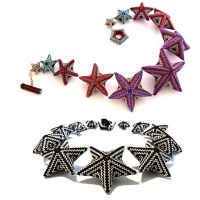 Mix beadwork with simple wirework for a dramatic, sparkling necklace which can be reconfigured as you desire to play with colours and match different outfits. 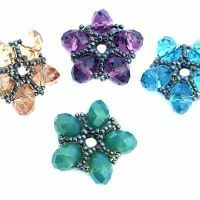 This complete 10-page step-by-step tutorial contains all the instructions, diagrams and photos you will need to make your unique bead and wirework chain. 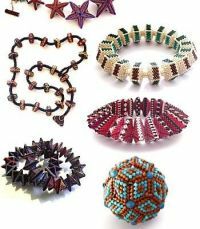 This project uses peyote stitch to bezel rivolis and then join them to hangers so they are one component. 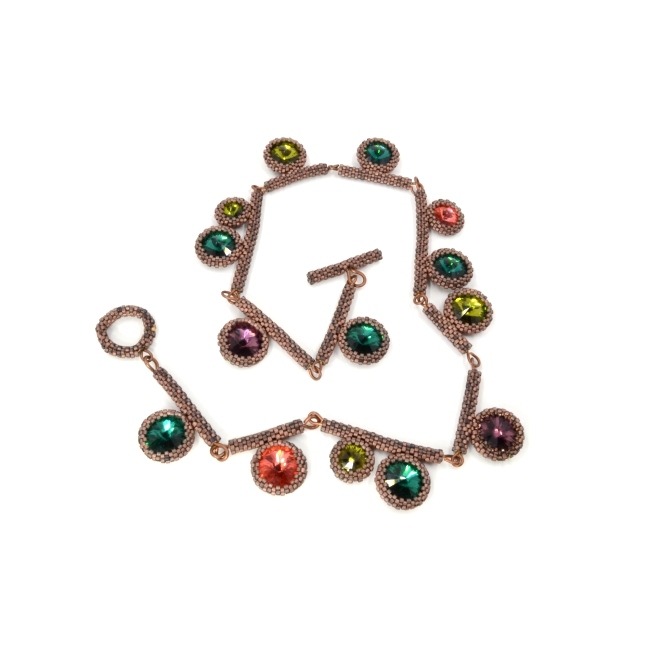 Add in a touch of basic wirework (full instructions included) and you begin to build components which link to form an eye-catching chain. 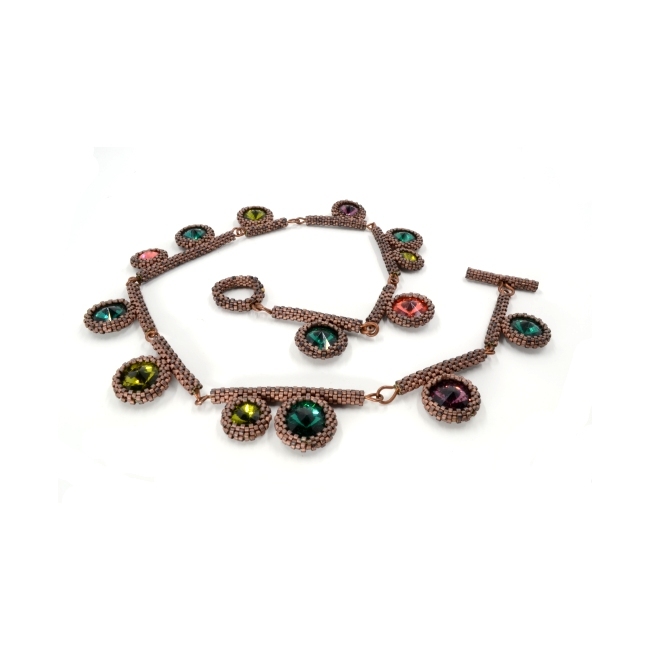 The icing on the cake is a beaded clasp to match the rest of the necklace in size, materials and style.